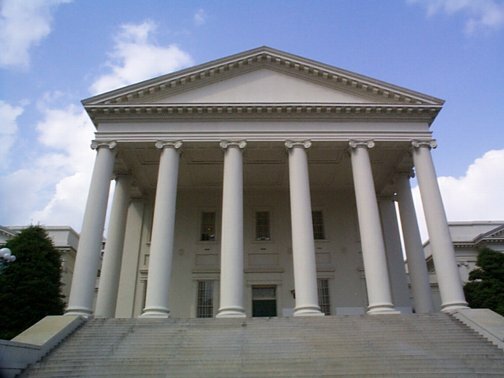 The 2014 Virginia legislative session wrapped up this weekend, sort of. Legislators still have to return to work out a budget deal, and in six weeks they will be back again to consider any bills vetoed or amended by the governor. But it’s still a good time to survey the battlefield. Advocates of enlightened energy policy march into session every January bright-eyed and optimistic, only to become mired in the slough of despond. We watch the best bills die, while bills we thought too backward to survive the light of day flourish like an invasive species. Yet even in Virginia, the past few years have produced glimmers of hope that suggest a slowly shifting mindset among legislators. There is, for example, a growing movement in favor of solar energy that is as strong on the Republican right as it is on the Democratic left. They haven’t quite formed a Solar Caucus yet, but you might say we are beginning to see a Solar Consensus. Last year, after a long battle, this consensus produced a law specifically allowing some third-party-owned solar and wind projects, a critical step for nonprofits to install solar economically. This year, the legislature removed the second major hurdle to these projects, local “machinery and tools” taxes on solar equipment that would have made third-party-owned projects impossible in most Virginia jurisdictions. Assuming the Governor signs, SB 418 and HB 1239 take effect January 1, 2015. In a near-rerun of two years ago, Senator Chap Petersen’s SB 222, nullifying homeowner bans on solar, passed the House and Senate. Back then Governor McDonnell surprised us all by vetoing similar legislation, an action not expected from Governor McAuliffe. This year, too, the legislature voted to establish a grant program to help fund renewable energy projects. Originally conceived as an ambitious, $100 million tax credit, the legislation was quickly scaled back to $10 million and turned into a grant, causing it to run into trouble when money couldn’t be found in the budget to fund it. (Sorry, we spent it all on coal.) So SB 653 won’t take effect until fiscal year 2015-2016, and even for that to happen the bill must be reenacted in 2015. Too many contingencies, you say? Well, yes. But passing the bill at all is a remarkable milestone for this legislature. Let’s appreciate this moment. Solar advocates also tried for a second year to pass a bill that would require the State Corporation Commission to set up a registration system for Virginia renewable energy certificates. While the bill did not pass, the SCC has agreed to examine whether it can do the job administratively, and if legislation is required, to suggest the necessary language for the 2015 session. Again, it’s a small victory, but it reflects an increasing acceptance of solar energy as an inevitable part of our energy mix. Okay, sure, the defeats were far more numerous. Reforms to our farcical Renewable Portfolio Standard were whittled down to why-bother status before passage (SB 498 and HB 822). Efforts to ensure that both utilities and regulators take account of the long-term costs of fossil fuels (HB 808) and their climate change impacts (HB 363) never made it out of House subcommittee. Every effort to expand residents’ access to solar energy by opening up net-metering failed (SB 350, HB 879, HB 1158, HB 906 and SB 350). One of the net-metering champions, Senator John Edwards, put in a resolution in the final days of the session to organize a study of the value that distributed solar generation provides to utilities and the grid. The bill was introduced on March 3d and scuttled on the 6th (surely some kind of record), but advocates expect the study to go forward administratively. The study will make use of the Small Solar Working Group that formed last year, facilitated by the Department of Environmental Quality and consisting of solar advocates, utilities, local governments and others. This value-of-solar issue is at the heart of the national battle over the expansion of distributed solar and the effort by utilities to nip it in the bud to preserve their monopolies. We expect Virginia utilities to continue their push for a very low valuation, one that would justify the barriers currently in place and add new ones like standby charges. There were other disappointments, too, like the failure of HB 766, a bill that would have allowed localities to form service districts for energy projects, just as they do for things like trash collection, and HB 1001, which would have required electric utilities to offer on-bill financing of energy efficiency improvements. But as I wrote in my last post, the worst news for consumers this year was the passage of SB 459, a bill allowing Dominion to write off hundreds of millions of dollars it has spent developing plans for a third nuclear reactor at Lake Anna. Last week we spoke with lawyers at the Attorney General’s office about this boondoggle, which they also oppose, and received confirmation that our reading of the bill is correct. In spite of the propaganda coming from Dominion about “no ratepayer impact,” customers of the utility will indeed pay these costs. Worse, while we know Dominion has spent $570 million so far, the company has not disclosed how much more it intends to spend—and charge us for—in the future. The AG’s office told us Dominion has this estimate but won’t disclose it publicly, insisting the figure is confidential. Apparently it is not for the likes of us customers to know such things. Legislators not only signed us up for this open-ended boondoggle, they specifically rejected an amendment offered by Delegate Ware that would have ensured we got our money back if Dominion doesn’t build the nuclear plant. Given the lopsided vote tally, the Governor is not likely to veto the bill. Knowing this, the AG’s office is recommending amendments that would allow the State Corporation Commission to review the money spent (the bill as written jettisons even that minor consumer protection), but isn’t suggesting a wholesale rewrite. Looking for a silver lining? There are two. First, Dominion may have pursued this legislation not because it wants to build North Anna 3, but because it intends to abandon the project and figures it might as well get ratepayers to cover the sunk costs while it’s still possible to pretend everything is full-speed-ahead. That would actually come as a relief; not building a financially uncompetitive nuclear plant on an earthquake fault line is way better than building it. Second, the bitter pill of this legislation comes with a little chaser of sugar in the form of a second bill, SB 643, that provides the same treatment for the costs of developing an offshore wind farm. So far these costs have been tiny in comparison to what’s been spent on North Anna 3, but putting them into the rate base will lower the cost of building turbines offshore. Some people have suggested it’s inconsistent to like the wind bill while hating the nuclear bill, but surely it’s only reasonable to fish a pearl out of a dung heap. There are good reasons to distinguish the bills, beyond the dangers of nuclear and the planet-friendly qualities of wind power. Most obvious is that there is real doubt whether the federal government will approve a nuclear plant with the serious siting issues confronting Lake Anna, while it has already approved the site of the offshore wind farm and given Dominion a lease. Since my last update, a few other bills have seen action. Senator Stuart’s bill to control fracking in the Tidewater area, SB 48, died in the killing fields of House Commerce and Labor. SJ3 and HJ16, Virginia’s first bills to deal with the effects of climate change, had to go to conference on the question of who would be part of the subcommittee studying “recurrent flooding” and how much power they would have. The compromise calls for three senators and five delegates to be part of the 11-member subcommittee. Absurdly, it gives the majority of either the senators or the delegates veto power over any recommendation. Senators Locke, McWaters and Watkins, and Delegates Stolle, Knight and Hester have already been appointed. This entry was posted in legislation, Nuclear, Renewable energy, Solar and tagged Dominion Power, energy, environment, net-metering, offshore wind, RPS, solar, Virginia. Bookmark the permalink.